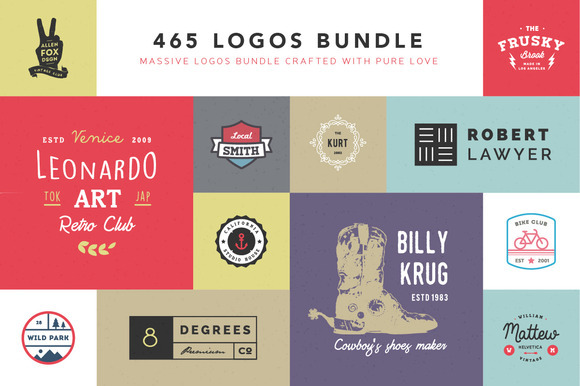 This pack includes 465 premium logos all premade for your vintage type logos and more modern ones. It includes all the illustrator files that you will ever need for all your logo designs. They are all AI/EPS files and have all the downloadable fonts in the readme text file. You can edit the color and they are 100% customizable and a 100% vectored. Everything is organized to your liking and it all can be worked with adobe illustrator CS2 or higher. Thnk you so much friend!